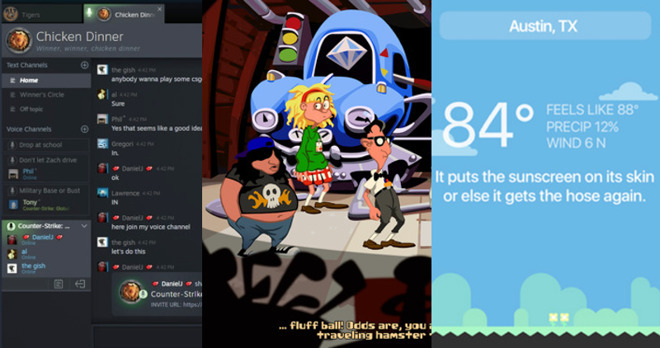 This week's highlights include a fan-made homage to Day of the Tentacle, extreme weather updates to Carrot, Dashlane 6, voice messaging in LinkedIn, and major chat changes to Steam. 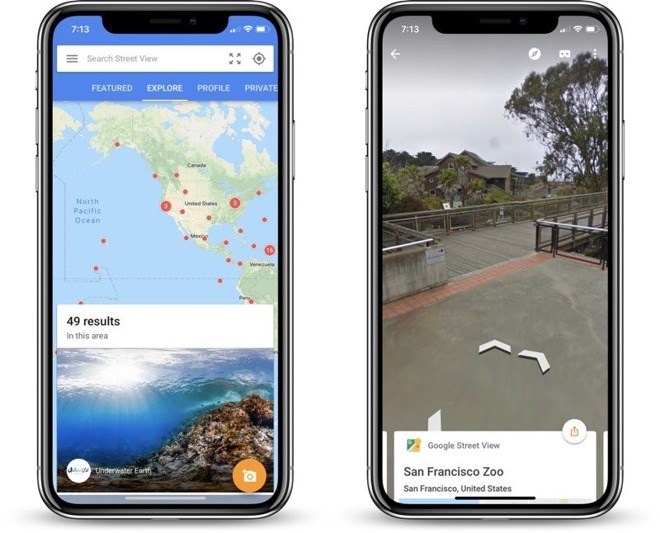 The Street View app isolates a core feature of Google Maps with the goal of exploring landmarks and businesses, including select indoor locations. Users can also upload their own 360-degree panoramas, using either an iPhone or a dedicated spherical camera. The app now supports the edge-to-edge display on the iPhone X, improving the interface and creating more immersive views. Google has additionally improved panorama rendering. Get it for iOS: Free. Requires an iPhone with iOS 9 or later. MacPaw's archival utility has been given a facelift for version 4.0.0, with a new UI and icon, and localization updates. The app has also been given a speed boost, allowing access to archived files quicker than ever before. The update also includes a number of fixes, including those relating to RAR4 and RAR5 files, the breaking of symbolic links in ZIP archives, crashes when opening large archives or password protected files, and reducing the number of "Extract To..." pop-ups when extracting multiple files. Get it for macOS: Free. Requires OS X 10.7 or later. 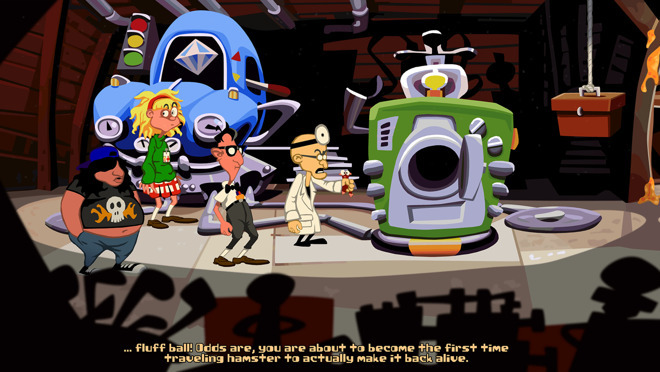 A fan-created sequel of classic point-and-click adventure Day of the Tentacle, the Return of the Tentacle pays homage to the original, retaining the 2D art style and including an original soundtrack. In the story, Purple Tentacle attempts to enslave humanity once again, just as it attempted in the original. Bernard, Laverne, and Hoagie head back to the mansion of mad scientist Dr. Fred and take part in more time travel hijinks to keep the world from tentacle control, including time-based puzzles for players to solve. The game is labeled as a "Prologue," suggesting the fan project may add more to the story in the future, but this will ultimately depend on if Double Fine and other rights holders allow it to continue existing. The password management service has made some significant changes in the latest version, which it hopes turns the software into an all-round solution for "online risk prevention." The first addition is the Identity Dashboard, which provides an overall guide to the user's online security, and how to improve. The dashboard includes monitoring of the Dark Web for up to five email accounts for breaches, credit monitoring alerts powered by TransUnion, and other alerts. For identity theft, the firm now offers phone support for restoring a user's online identity and credit record. There is also identity theft insurance, which offers up to $1 million in damages if the user suffers a loss caused by the theft. There is also enhanced password management options to show when passwords need updating, 1GB of secure file storage, and a VPN for use on unsecure connections. 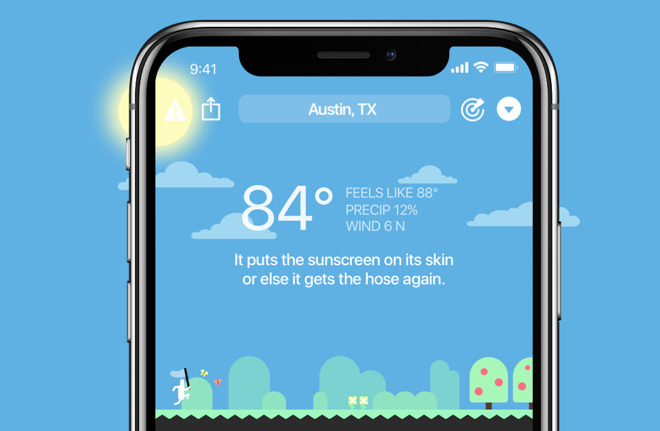 Get it for iOS and macOS: Here. The free service provides storage of up to 50 passwords for one device. For the paid tiers, the premium $5 per month version includes the VPN, synchronization, and dark web monitoring, while premium plus at $10 per month includes all of the features. The weather app with an attitude's update to version 4.7.2 adds hurricane tracker notifications alongside a number of smaller updates. Available to Premium Club members, the app will provide updates for tropical storms in North and Central America. Continuing the theme, the U.S. severe weather alert notifications can now be tapped to open the alert directly in the app. Daily Report notifications will no longer overwrite older updates, providing more of a history. It is also possible to show Fahrenheit and Celsius side-by-side in hourly and daily results. Lastly, there are fixes to the iPad landscape layout, bugs with anniversary achievements, and the place search database for users in China. Get it for iOS: $4.99, with varying Premium and Ultrapremium Club options. Requires iOS 10.0 or later. A major new feature in the private messaging app is the ability to store copies of official documents on the service. The Telegram Passport stores an encrypted version of government-issued identification in the cloud, which could be used as proof of identity by other apps. In effect, instead of proving their identity to an app or service, the user could instead point the app to Telegram, which will have already confirmed the identity, without needing to re-upload and risk their documents being acquired by unsavory entities online. Aside from being stored under encryption, it will also handle all communications with end-to-end encryption, just like messages sent across the service, in order to keep the data secure. The Microsoft-owned business social network is increasing the ways people can get in touch with each other over the service, by sending voice messages. 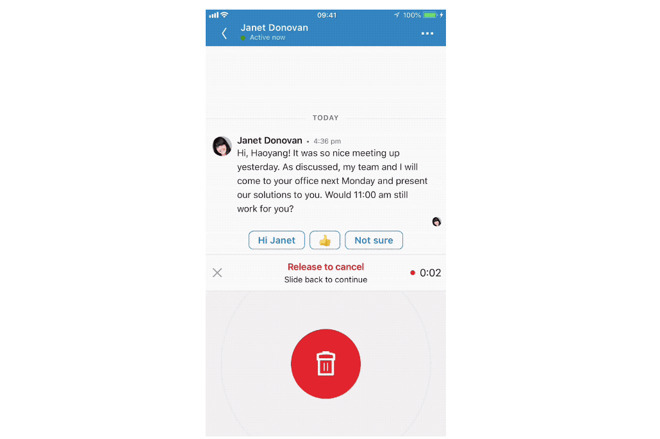 Recordable on the mobile app, users can create a verbal message of up to a minute in length to send to other users. The audio messages can then be listened to by the recipient through the app or the website. LinkedIn suggest the messaging could help with explaining longer or more complex ideas in a shorter time than typing it, allows for quicker responses to questions, is handy to respond while on the move or under a time pressure, and for job applicants to better express their personality. Get it for iOS: Free with paid plans also available. Requires iOS 10.0 or later. Valve's wildly popular gaming store has undergone a number of changes this week, including its transition to being a 64-bit app on Mac. This change is mandated due to Apple warning users that 32-bit apps will not work in macOS for a future release. 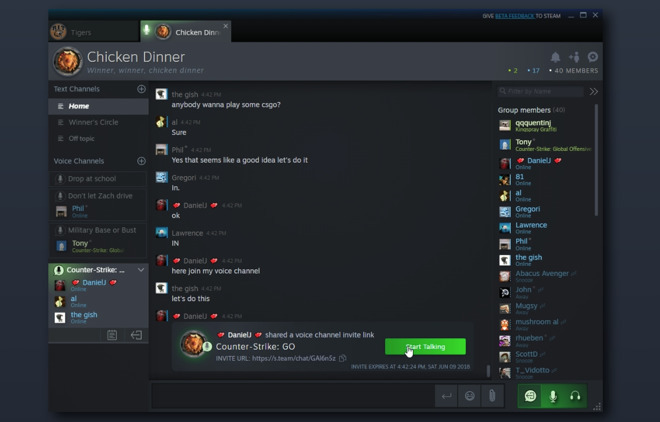 The chat system has been given an overhaul, with a more flexible friends list that can be grouped by game, party, and favorites, with it also showing where in the game the contact is. Group Chats allow for friends to chat with each other, simplifying conversations. 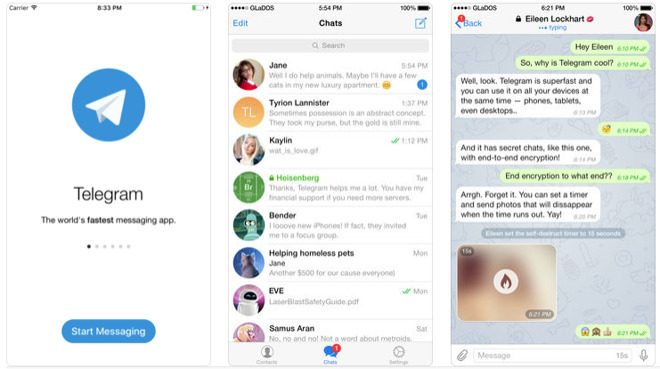 The chat itself has been upgraded to include images, video embeds, tweets, and other content. However, this does not mean that games bought through the service will be migrated to 64-bit. That choice is still up to the developer.